Copyright © and All Rights Reserved Commenced 2009 including Trademarks, Logos and Intellectual Property Rights. Terms & Conditions Section 40. The International Terms & Conditions are Licensed for use by the Founder Originator John Wiley to the specified operator of the lovemylotto.com website. Subject to Annual Review and Continuation Permit. Love my Lotto Limited grants a licence to The Lottery Organisation Limited or and any other specified operator of the internet Website lovemylotto.com and other associated Websites owned and operated by Love my Lotto Ltd.
Headings in these Terms & Conditions are used for convenience and shall not affect the construction or interpretation of these Terms & Conditions.Welcome to lovemylotto.com Website ‎(together with its sub-domains, Content, Marks and Services, the “Site”). Please read the following Terms & Conditions of ‎Use (“Terms & Conditions”) carefully before using this Website so that you are aware of your legal rights and obligations with ‎respect to The Lottery Organisation Limited ("lovemylotto.com", "we", "our" or "us"). 7. This Terms & Conditions document must be read in conjunction with the following interconnecting policies, some of which are incorporated into this document. 16. Performance of The Lottery Organisation Limited Draw and Results. Haywire Marketing Limited & Lovemylotto.com are respectively a lottery marketing company and supplier of lottery tickets and a dedicated lottery Syndicate provider, utilising UK and other leading International lottery brands. The Site provides information about leading official lotteries (each a "Lottery") that are provided by independent official lottery operators (each a "Lottery Operator"), and enables registered Site users ("Users") to purchase a membership place in a pre-arranged lottery Syndicate (each a "Lottery Draw") by means of the Site’s Services, and offers Services (defined below) to Users, all subject to and in accordance with these Terms & Conditions. A complete list of The Lottery Organisation Ltd products and Syndicates in connection therewith we offer our Services, and the schedule for each Lottery Draw, is displayed on the Site. The Site may be translated into any number of International Languages. All reasonable precautions are taken to ensure the accuracy of this document and any other policy documents we may issue from time to time. Where translation has taken place, they may not present a precise facsimile of the master documents on file at the Company Head Office, and there are times when forces outside of our control can cause online documents to be corrupted due to technical issues which may cause the document to be inaccurate with erroneous code, text or artefacts. In the event of such an occurrence we retain the right to revert to the definitive master documents held at the Company Head Office. In the event of a dispute, it will always be the definitive master documents written in the English Language that takes precedents. Your use of The Lottery Organisation Ltd products, software, Services and Websites (referred to collectively as the “Services” in this document and excluding any Services provided to you by us under a separate written agreement) is subject to the terms of a legal agreement between you and The Lottery Organisation Ltd. This document explains how the agreement is made up, and sets out the terms of that agreement. Unless otherwise agreed in writing with The Lottery Organisation Ltd, your agreement with The Lottery Organisation Ltd will always include, at a minimum, the Terms and Conditions set out in this document. These are referred to below as the “Universal Terms”. Your agreement with The Lottery Organisation Ltd will also include the Terms of any Legal Notices applicable to the Services, in addition to the Universal Terms. All of these are referred to below as the “Additional Terms”. Where Additional Terms apply to a Service, these will be accessible for you to read either within, or through your use of, that Service. The Universal Terms, together with the Additional Terms, form a legally binding agreement between you and The Lottery Organisation Ltd in relation to your use of the Services. It is important that you take the time to read them carefully. Collectively, this legal agreement is referred to below as the “Terms”. In order to use the Services, you must first agree to the Terms. You may not use the Services if you do not accept the Terms. Utilising the Services in anyway whatsoever confirms your acceptence and agreement to the Terms & Conditions. By actually using the Services. In this case, you understand and agree that The Lottery Organisation Ltd will treat your use of the Services as acceptance of the Terms from that point onwards. You may not use the Services and may not accept the Terms if (a) you are not of legal age to form a binding contract with The Lottery Organisation Ltd, or (b) you are a person barred from receiving the Services under the laws of the United States or other countries including the country in which you are resident or from which you use the Services. We reserve the right, at our discretion, to change the Site Terms at any time; if we do so we will post the revised Terms on the Site. Any such change shall become effective immediately following the publication of the revised Terms on the Site and your continued use of the Site thereafter means that you accept those changes. If you are reading a translation of any Site Terms in a language other than English, you acknowledge and agree that (i) the English version is the official version; (ii) the non-English version is provided for your convenience only and the translation will not be valid as an agreement; and (iii) in the event of any inconsistency between the English and a non-English version of any Site Terms, the English version will prevail and govern. The Terms & Conditions and Policies listed above are applicable to all Player Members using all or any part of our Websites, together with all and any Affiliates marketing our products. The Lottery Organisation Ltd is an associated partner company of Haywire Financial Services Ltd, both being a member of The Haywire Group of Companies. Haywire Asset Management Ltd is an associated partner of The Haywire Group of Companies, that maintains and manages members personal data, and is registered with the Information Commissioners Office. "Haywire Financial Services Ltd" is an associate company of The Lottery Organisation Ltd, that transacts all payments on behalf of The Lottery Organisation Ltd, and is the designation that appears on members bank statements for all new and recurring payments. The Site is not intended for individuals under the age of eighteen years of age, or older if restricted by law in the country in which you are resident. Therefore, if you are under 18 years, you are prohibited from registering an Account and using the Services. If it comes to our attention that a User is under the age of 18 years we may, to the extent applicable, cancel that User's Account and/or access to the Site. You are under 18 years of age or the minimum legal age in your country of residence. You are not acting as principal and are acting on behalf of someone else. You do not accept Cookies. You do not accept the Terms & Conditions of Use. By undergoing Full Registration and becoming a Player with us you confirm and warrant to us that the you do not fall into one or more of the categories above and that all information provided to us by Full Registration and in connection with your Account is complete, accurate and not misleading and each time you play a Game you repeat that confirmation and warranty to us. In the event that we discover that The Lottery Organisation Limited has been misled with regard to a Player Members eligibility to participate in any of the products on our Website, any prize monies due to that person will become forfeit. “Account” means the secure area of the Website, unique to a Player through which you can become a Member, pay Entry Fees, join a Syndicate and monitor any Game your Syndicate plays. "Advertising & Marketing" means for the purpose of notifying members of other lottery opportunities, the Haywire Group is an associate member of The Lottery Organisation Ltd, and as such will from time to time inform members of Results, Promotions, New Lottery Products, Opportunities and any other information we believe to be applicable or of interest to our members. "Dormant Account": means an account that has not been accessed for a period of three months, at which point in time, a Maintenance Fee" will become payable. If after a period of 6 months the account remains dormant, at our discretion we may choose to close the account. In this event, all funds held in your Player Account will be forfeit and will belong to us. “Lovemylotto.com” the trade name of the Company. “The Lottery Organisation Ltd” means the operator of this Website. “Our, us, we” means either Lovemylotto.com or The Lottery Organisation Ltd, and or any other subsidiary company or domain name used on this Website that is owned and or operated by the Company. “Any name or designation given to a Syndicate” means one or more of a Syndicate of that name entering specified Games as set out on the Website from time to time. "Entry Fee" means a regular recurring payment required to Enter and to join a Syndicate and continue being a member of a Syndicate and if you are in more than one Syndicate the collective payment for the number of Syndicates of which you are a member. “The Company” provides facilities for the playing of games of chance for a prize; your Entry Fee gives a Contractual Right to share in a Syndicate winnings. “Game” means the various draws or other games of chance entered by being a Member of “Any name or designation given to Syndicates”, or any other games including free to enter promotional games we may choose to offer from time to time, whatever the name, title or any other such means of identification, and which may have unless specifically stated, variations in the numbers of Syndicate members. "Haywire Affiliate Network" means the company in-house affiliate marketing, tracking and commission plan applicable to affiliates signed up to the APOA Affiliate Programme Operating Agreement. Haywire Asset Management Ltd, means the company that maintains the database that contains members personal data information. Haywire Marketing Ltd means a company registered with the Information Commissioners Office that markets lovemylotto.com and other associated Website products to the database membership. "Haywire Financial Services Ltd" is an associate company of The Lottery Organisation Ltd, that transacts all payments on behalf of lovemylotto.com, and is the designation that appears on Member’s bank statements for all new and recurring payments. “ID Information” means in rare cases or in the event of a very big win, information used to establish the identity of a Player, which includes, but is not limited to, inspection of the Player's passport, driver’s license and utility bills. “Maintenance fee” means a fee of £1.00 per month charged by the Company for the maintenance of a “Dormant account”, the fee being chargeable against any funds in a member’s account wallet. The first charge being payable three months after the account becomes dormant. In the event that insufficient funds are available in a members account, no charge will be made, but after a period of six months the account may be closed. In this event, all remaining funds held in your Player Account will be forfeit and will belong to us. “Marketing promotions” means the Company’s right to market by any means available to it, to any of its members, any promotional marketing material from any related source, associated companies and sponsors, including The Lottery Organisation Ltd.
“Member” means a Player who has paid the Entry Fee and been accepted by us for membership of a Syndicate and whose Account has not been terminated or suspended by us. The use of the word "Member" is not intended to imply membership of a club, use of the word "Member" in this instance means only membership of a Syndicate for which an Entry Fee has been paid. “Mobile Network” means any UK or other International mobile phone network that is capable of delivering Short Messages. “Nominee” means a person named or designated by another (the Company) to any office duty or position (syndicate organiser) one nominated or proposed by others for office or for election to office. “Passwords and account security” means You agree and understand that you are responsible for maintaining the confidentiality of passwords associated with any account you use to access the Services. Accordingly, you agree that you will be solely responsible to us for all activities that occur under your account. If you become aware of any unauthorised use of your password or of your account, you agree to notify the Company immediately. “Player” means a person who has successfully completed Full Registration, is legally eligible to participate in a Game and who's Account has not been terminated, suspended by us or become a dormant account. "Services" means the provision of information on the lovemylotto.lotto.com Website, and Subject to applicable registration requirements, and your compliance with these Terms, we offer certain Services in connection with the Site ("Services"), including, without limitation: The Lottery Organisation Limited Syndicate Service. “Site” means any Website operated by The Lottery Organisation Limited. “Special Games" means any game we may offer from time to time that may have Terms & Conditions that are different to, or in addition to the Standard Terms & Conditions. “Syndicate” means a group of Members, participating in a Game and specifically identified by a unique identification number allocated by the Company to any particular Syndicate. “Syndicate Organiser” means a representative of the Company who is an additional member of a Syndicate to the Player Members. “Universal terms” means all Rules & Regulations and Terms and Conditions of Use and associated policies applicable to the Site wherever stated. “Us, our, we” means The Lottery Organisation Ltd, Lovemylotto.com and or any subsidiary company or domain name used on this Website or Websites that is owned and or operated by the Company and or any associated companies. “Winnings” means any monies won by a Syndicate in any Game, after (if applicable) any deduction for tax and administration fees. We are a lottery Syndicate Organiser. We are not a gambling or gaming Company requiring a license from the UK Gambling Commission. We do not require a lottery operating license; Confirmation can be gained by visiting the UK Gambling Commission Website at www.gamblingcommission.gov.uk and reading the following Lottery Sector, Lottery Syndicate, Example 1 - Syndicate organiser. This Company complies fully with these regulations. We are not nor need to be regulated by the Financial Services Authority; a Syndicate does not amount to joining a collective investment scheme. Joining a Syndicate and playing any Game through the Website provides no guarantee of receiving any Winnings and we in no way guarantee you any return on any fees this Company may charge for your Entry into or participation in any of the Syndicate games. We reserve the right without prior notice or liability, to provide any other type of alternative legally licensed lottery draw, in addition to or other than those specifically referred to in these terms and conditions or on the Site. It is your responsibilities to ensure that at all times you comply with all laws and regulations in any jurisdiction wherever you are located or resident and that you have complete and unrestricted legal right to use this Website, to register as a Player, to become a Member, join a Syndicate and participate in any Game. You can register to have an Account as a Player at any time without obligation to pay an Entry Fee, to do so you must complete the Full Registration process. You must register as a Player and obtain an Account before becoming a Member. To become a Player Member, you must choose a Game, pay the Entry Fee and join a Syndicate. At the time of Full Registration as a Player we will request a password for security purposes. The password that you chose must be kept private and secure by you at all times. Failure to do so could lead to unauthorised activities on your Account. By registering to become a Player you agree to be solely responsible for all use of this Website or any playing of a Game through your Account and to abide by the rules of each Game as published by us on the Website from time to time and these Terms and Conditions. Transactions made using your Account and password are accepted by us on the understanding that it is you that is logged on and are playing any Game. If a third party has accessed your Account, we accept no liability for any monies or information lost, changed or misused. We reserve the right to ask for proof of age and ID Information to verify your identity at any time and may carry out spot checks on our Players and Members. We reserve the right to conduct checks against any of the details provided to us including proof of residence. Failure to provide substantiated proof of age or other requested ID Information will result in the suspension of your Account. Any monies or Winnings due or requested during this time will be withheld by us until the requested ID Information is provided. We reserve the right to refuse to register you and or to suspend and or terminate your Account at any time at our sole discretion and we shall not be obliged to provide you with any reasons for so doing. We reserve the right to suspend any payment of monies from or into your Account or to you if there is manipulation of our financial system or reasonable suspicion, or evidence, of a breach or suspected breach of any applicable law, regulation, or a breach by you of the various terms and conditions which govern your use of the Website, playing any Game and or being a Member of a Syndicate. Each Lottery Draw is performed by the designated Operator. Your participation in each Lottery Draw is subject to the terms and conditions of the related Lottery Operator in addition to these Terms & Conditions of Use to which you agree to independently review and comply with. The Site enables multiple users to use our Syndicate Service in order to jointly join a number of Syndicates for a given number of Lottery Draws and to share in any Prize which may be due if such Syndicates contains Winning Lottery Tickets. “Syndicate” means a group of users that uses our Syndicate Services to join a Syndicate. The Syndicate Service does not enable you to choose the members of a Syndicate or the lines of Lottery entries in that Syndicate. Syndicate membership offers you the opportunity to play in one or more places in a Syndicate and The Lottery Organisation Limited Tickets purchased for the Syndicate to the extent such Places are available. We determine: the total number of Places available for membership in a Syndicate, the number of Lottery tickets purchased for the Syndicate; and the number combinations played by The Lottery Organisation Limited Tickets purchased for the Syndicate (Lines and or Entries). By paying an Entry Fee, you will not own any specific Lottery Ticket or Line purchased for the Syndicate. Any Syndicate places not purchased by Site users shall be owned by us. Syndicate Prize Share (Winnings) The portion due to you of any Prize resulting from Winning Lottery Tickets purchased on behalf of a Syndicate (“Syndicate Prize”) will be divisible by the maximum number of places in a Syndicate. Syndicate Prize Collection. Syndicate Prizes shall be collected on the terms and conditions set forth for the collection of Prizes. You hereby appoint, and grant power of attorney to, the person whom we may choose to collect any Syndicate Prize less any locally applicable taxes if such Prize is higher than the amount the Country in which the Prize is won has set an amount at which tax becomes payable. Following each Lottery Draw the Operator publishes the related final and conclusive winning numbers. To the extent that a Lottery Ticket includes Winning Numbers you may be entitled to share a cash prize to be paid to us. The number of Winning Numbers that the Syndicate needs to obtain to be entitled to a share of the Winnings in connection with a Lottery Draw, as well as the amount of a Prize, is determined solely by the Lottery Operator. We use commercially reasonable efforts to publish the official Lottery Draw results, including the Winning Numbers and Prizes on the Site as soon as possible following official publication thereof by the related Lottery Operator. If your Syndicate Lottery Ticket is a winning ticket, then we will send a notification email to your designated email account. The Company accepts no responsibility for providing the information within any set period of time, which can be affected by and without limitation, location, timing of the draw, the timing of The Lottery Organisation Limited operator’s announcements, delays in communication, draw abandonment, human error. You may view scanned copies of your Syndicate Lottery Tickets in your Account. You acknowledge that it takes time to upload scanned copies of Lottery Tickets, and there may be a delay between the time that The Lottery Organisation Limited Tickets are purchased and the time that a copy is made available for you to view. The lottery entry tickets we scan are ones associated with the UK National Lottery and the EuroMillions Lottery, in some other instances it may not be possible or it may be difficult to scan tickets, however we retain all lottery entry tickets for a minimum of seven months, which remain available for audit in the event of a dispute. For the avoidence of doubt, unless you cancel your syndicate membership by giving the required 28 day notice period, your membership will continue and your subscription fee will be automatically taken for the next period, this apply's to all levels of membership including annual subscription fees. When you join a lovemylotto.com Syndicate, you are providing us with the right to continue to charge by way of an on-going recurring periodic subscription the entry fee for the specific type of Syndicate you have opted to join, unless you have given at least 28 days notice of your intention to terminate your membership. Payment of the Entry Fee will be made in the currency stated on the payment page, or the Entry Fee will be charged as GBP and converted to the local currency at the Currency Exchange Rate stated on the Website at the time of purchase. Where payment is made in any currency other than UK GBP, You acknowledge that the Entry Fee for each Lottery Syndicate may be subject to change for a number of reasons including, without limitation: The amounts that are displayed on the Site may be based on out of date Exchange Rates, also the Entry Fee Prices are subject to; Daily currency conversion variations; Operator changing the price that it charges for its lottery tickets; The ticket Price may differ between various Countries, the Entry Fee for each Category may be different depending on which Lottery Syndicate is designated, or our Entry fees may change. You shall pay to us the Entry Fee for a Syndicate playing the Game you wish to join, in cleared funds, on or before the monthly or annual subscription date as set out on the Website. The Entry Fee for any Syndicate is liable to change; written notice of such changes will be provided to you no later than three days prior to such change. Written notice can mean by e-mail, to the email address you have provided to us, or by a notification on the Website or the Company News desk located on our navigation bar at the top of our website home page. Each payment of the Entry Fee must be by credit or debit card, (the payment card). We may accept other payment methods from time to time at our sole discretion. We must however have received cleared funds prior to any applicable draw date. If a Member gives debit card or Credit card details relating to a bank or any other card issuer account that is held jointly with another person, you accept that Winnings won by a Syndicate Member may be paid into such joint account. Confirmed Payments. Upon our receipt of the Entry Fee, we will send you an email payment confirmation, this is your receipt, which also provides details of your recurring subscription. You may also view information about your participation, including your payment details and the name and date of joining a Syndicate, together with other information in "Your Account". Adequate Funds. You agree that we may automatically debit your Credit / Debit card in connection with your participation in the Subscription Service (Recurring payments), we will charge your payment method (for example, the credit card that you have designated in your Account), and you hereby authorise us to do so, in the event that transaction was not carried out due to insufficient funds, your continued membership of The Lottery Organisation Limited Syndicate will cease with immediate effect. You agree to only provide valid and current credit or debit card and billing information for yourself; that we may use the tools, software or services of third party service providers to process transactions on our behalf; that you shall be liable for any card issuer processing fees in connection with payments and recurring payments; all purchases are final and non-cancellable or non-refundable; if payment is not received by us for any reason from your card issuer, you agree to promptly pay all amounts due to us upon demand and, if applicable, Love my Lotto may charge a reasonable rejected payment fee; and take such amount from your account; any failure or inability by Love my Lotto to process any payment hereunder does not relieve you from your payment obligations. Some Credit or Debit Card providers may make a charge for the use of their Card on our Website, The Lottery Organisation Limited has no control over such charges and will not accept any responsibility whatsoever for such a charge being made. Management of a Syndicate together with the purchase of any tickets for a Game a Syndicate is playing is an on-going process, once a Player has paid the Entry Fee and joined a Syndicate the process of managing their participation in the Syndicate starts immediately. Therefore, you are unable to cancel your membership for the month or year in which you have paid the first Entry Fee. By agreeing to these terms and conditions you accept that your right to cancel your Membership under the Consumer Protection (Distance Selling) Regulations 2000 shall not apply. We do have a refund policy in respect to periods falling after the first month of being a Member, please see the section on “Subscription Payments” below. This does not apply to an annual subscription. We operate a 28 day in advance cancellation policy, and reserve the right, that in the event that a Player cancels their next recurring subscription payment without giving the full 28 days’ notice, or by cancelling their next payment without informing us, we will retain any monies in that Players winnings account. You will cease to be a Player Member if you are not part of a Syndicate but you will remain a Member (provided you continue to access Your Account) and may, subject to these terms and conditions, apply to become a Player Member again at any time. A Member may in registering to join a Syndicate choose to pay the Entry Fee for more than one month in advance (if the option is available). Such a Member will then participate in that Syndicate on an on-going basis until such time as the amount of Entry Fee paid is exhausted (at which time a Member may continue to be a Member of a Syndicate by paying the Entry Fee again) or until the Member gives notice of their wish to leave that Syndicate by giving 28 days’ notice in writing by e-mail to support@lovemylotto.com or by writing to us at the “contact us” address shown on the Website. We will confirm the date your membership of that Syndicate ceases and any Entry Fee paid for that Syndicate for a month or year that falls after the expirery date shall be refunded, expirery means after one month from cancellation for monthly subscription membership, and after one year for annual subscription membership.This will not affect your membership of any other Syndicates. By the choosing to pay the Entry Fee on an on-going monthly basis the Member agrees in advance to all debits from his credit or debit card as required for the Syndicate a Member is in, including circumstances where the Entry Fee for any Syndicate changes after the first monthly Membership Fee is paid. If payment of the Entry Fee is not made on the due date for any reason whatsoever (including but not limited to credit card or debit payment card failure), without limiting any other rights we may have, we reserve the right to immediately suspend and or terminate your status as a Member without any liability to you whatsoever for Winnings or otherwise. Each Syndicate has only a set number of members plus one Syndicate organiser(Nominee), (Subject to review at any time and alteration without notification). The number of Player Members in a Syndicate is specific to the type of Syndicate of which the Player is a member. Each Syndicate will have a specific number of Members specified at the time of joining and is dependent up on the type of game being played, the Entry fee and time limited promotional offers, Syndicate numbers can vary, at the time of writing most of our Syndicate have no more than 59 members, plus an additional Syndicate Organiser appointed by the Company who shall form part of the Syndicate. Please note that the number of participating Syndicate Members can be changed at any time under certain unusual circumstances, such as changes to a lottery made by the operator or increases in charges made by a lottery operator. Draw numbers applicable to your Syndicate will be made available to you from the log in page of your Account which you will be able to access using the user name and password which you have supplied to us. If you for any reason do not like the draw numbers applicable in your Syndicate you may request that you be moved to an alternate Syndicate playing the same Game by writing to us by e-mail to support@lovemylotto.com or by writing to us at the contact us address shown on the Website. We can only offer this facility prior to any draw taking place in a Syndicate you have joined. We cannot guarantee you will be moved to any specific Syndicate, only that it will be a different Syndicate to the one you joined and it will be playing the same Game. Ensuring that all Members of a Syndicate pay an Entry Fee to the Syndicate in each month they participate with the exception of any entries maintained by the Company in order to constitute a proper Syndicate. (Subject to any variation that the Company in its opinion it believes to be fair and proper for the Player Member concerned). The advanced purchase of tickets for each Game that the Syndicate enters which shall be acquired in the Syndicate Organiser’s name or other representative of the Company. For the avoidance of doubt no tickets are purchased in the name of, or on behalf of a Player Member, with the exception of the "Nominee" Company syndicate manager. The Company together with the Syndicate Organiser forms a contractual relationship between the parties, and the other members of the Syndicate. Ensure that any Winnings after deduction of any applicable costs, are divided equally between the Members of a Syndicate, after and if applicable to any tax or administration charges. In the event of a substantial win that the identity of the Members of a Syndicate that have opted for “no publicity” will be kept private to the extent possible. The Company reserves the right at its discretion, to advertise to the fullest possible extent that a lovemylotto.com Syndicate has won a Jackpot or other substantial prize. Maintain historic details of a Members “active membership” record. Take all reasonable measures to ensure that each Syndicate has different lottery numbers from any other Syndicate but this cannot be guaranteed. In certain circumstances duplication can and may occur and the Company accepts no responsibility whatsoever for a perceived dilution of Winnings, or otherwise in this event. We reserve the right to merge Syndicates under certain rare unexpected circumstances such as where two or more Syndicates have less than the required number of Members. We reserve the right to alter the number of Members in any Syndicate at our discretion and without notice, albeit any changes will be posted upon the Company News desk at the earliest possible and convenient time. A Member may join, simultaneously, any number of different Syndicates, (for the same Game or a different Game subject to availability). In order to enter another Syndicate, for security reasons, you will be asked to log out and re-enter your Account on each occasion. Winnings after any tax, (if applicable) has been deducted and less an administrative fee for substantial wins of 5% will be distributed to Members of a Syndicate which has won the prize as soon as possible after receipt of cleared funds from the applicable UK Lottery operator, and or any other legally licensed and constituted lottery operator throughout the world which we may choose to use from time to time. Winnings of over £50,000 may take longer to process and distribute as the method of claiming prizes at or above this level is more involved than for lesser Winnings and will require proof of age and identity of the Syndicate Organiser or other Company representative. For the avoidance of doubt you should note that the distribution of winnings is totally dependent upon this Company receiving said winnings from the lottery operator concerned, in the event that this company, having exhausted all reasonable efforts, is unable to obtain said winnings for whatever cause or reason, The Lottery Organisation Ltd or Lovemylotto.com, or its parents, subsidiaries, affiliates, officers, directors, shareholders, employees, agents, licensors, and partners or any other connected parties do not accept any liability whatsoever from any and all claims, losses, liabilities, demands, damages, costs, or expenses. Distribution of Winnings to a Member will be by crediting the members Account and on request for payment, credited to a Credit or Debit Card (The payment card) in the name used to open your Account or to an Account that has or is used to make Membership Fee payments to the Company. Should an alternative method of payment for their percentage of any Winnings be requested by a Member it will be at the discretion of the Company whether or not to comply with such a request, having given consideration to the appropriate financial rules and regulations that may apply in such circumstances. In the event that an alternative method of payment is adopted, an administration charge will apply and be deducted from the Members share of any Winnings before payment. We reserve the right to refuse a request to transfer funds from or to certain countries or jurisdictions as we may dictate from time to time. All Winnings are subject to there being a minimum amount due to a Syndicate member of £20, unless the member requests a payment to be made at the time of closing their account, in which instance, and that the appropriate 28 days cancellation period has been applied by the player member, any monies in the player members account can be paid on the request for such payment. In certain countries Jackpot prize payments are subject to local conditional variations in the way in which a payment is made, in addition it is sometimes the case that the Lottery Operator gives the winner or winners of the Jackpot prize payment options, in such instances you hereby give The Lottery Organisation Limited outright authority to choose at their sole discretion to select which payment method it prefers to accept. For instance, in the United States of America, but without limitation, it is common practice to spread a Jackpot prize pay-out over a number of years, which could be as many as 30 years. The alternative offer by the Lottery Operator is often an immediate cash lump sum payment which is usually substantially less than the advertised Jackpot prize. In such circumstances will always accept the immediate and reduced value cash prize based on the offer made by the Lottery Operator, and will not be held responsible under any circumstances for any perceived loss of prize money by any Player Member of the winning Syndicate. At the time of writing all prizes won from UK lottery tickets sold in the United Kingdom & the Isle of Man are tax free, however prizes won from lottery tickets sold in other jurisdictions may be subject to local taxes in the jurisdiction of the Lottery Operator. The Lottery Organisation Limited has no control over any taxation legislation in any jurisdiction including the United Kingdom, and therefore cannot be held responsible for any perceived reduction in prize winnings. Taxation on Lottery Winnings can change at any time in any jurisdiction, therefore all references to Jackpots and other prizes on this website must be consider as an estimate which may be subject to a reduction. We may from time to time offer additional Games for inclusion in a Syndicate, or offer a separate game that can be played by a Member and or a Player member as a standalone entry. In either case an additional charge may be made for entry into the game or Games or at the Company's discretion be a free or bonus game. The rules which apply to such a game or Game shall be published on the Website at the time such an offer is made. The number of playing members in this type of promotional game will be at the discretion of the Management, and may exceed any other stated Syndicate member numbers. Lucky Dip Tickets, should a syndicate “win” a Free play lucky dip” it will be included in the win section of the particular syndicate, as is any cash prize, and Syndicate members will receive an e-mail notification, the same as for a cash prize. To accommodate these additional tickets, there is one area” Scanned Tickets" that has all draw tickets including the “lucky dip tickets” for your syndicate in that section of your “Lovemylogin” account. Due to the Company being unaware of the lottery entry numbers on the “lucky dip” ticket, until the ticket is physically collected, it will not be scanned until the following week together with that week’s entry tickets, members will therefore see them one week in arrears. Where possible all won “Lucky Dip Tickets” will be for the next Saturday Draw. Syndicate members will therefore be aware that they have won a “lucky dip” win, and for transparency, be able to see a scan of the ticket, the week following the win. In the event that a Lucky Dip Ticket wins another “lucky dip ticket”, the same cycle continues, except there will be no prior e-mail notification, but the ticket will appear in the next batch of scanned tickets. In the event that a “Lucky Dip Ticket” wins a cash prize up to a value of £45 or any other non cash prize, such as a holiday, an in-house draw between all members of that specific syndicate will take place, in order to find one out-right winner, the amount of the cash prize will then be credited to that Play Member account. In this instance, the Company uses an independent third party concern that operates a renowned random generator, and for the purposes of transparency, the Company retains a record of the draw. Where the lottery operator offers a cash alternative to an additional prize, the Company will accept the cash alternative, which will then be distributed between all active members of the the specific winning syndicate. The terms The Lottery Organisation Ltd”, “Lovemylotto.com”, and any other trademarks, service marks and or trade names used by The Lottery Organisation Ltd under license on the Website from time to time (the “Trade Marks”), are the trademarks, service marks and or trade names of Haywire Asset Management Ltd, The Lottery Organisation Ltd or any other body identified specifically on the Website and these entities reserve all rights to such Trademarks. In addition other content on the Website, used by The Lottery Organisation Ltd under license, including but not limited to Documents, Descriptions, Products, Technology, Sounds, Interactive features, Logo’s, the Software, Source Code, Website architecture, Code bible, Images, Pictures, Graphics, Photographs, Animations, Videos, Music, Audio, Text and Operating system code (the “Website content”) belongs to The Lottery Organisation Ltd or any other body identified specifically on the Website and is protected by copyright and or other intellectual property or other rights. You hereby acknowledge that by using the Services and the Website, you obtain no right in the Website Content, or any part thereof. Under no circumstances may you use the Website Content without the prior written consent of The Lottery Organisation Ltd. The originator of all third party content used on our Website retains all copyright and moral rights attached to any images as well as any other rights which may not be detailed in this agreement. In the event that permission is given by this company for the use of third party content the following conditions will apply. Credit/Acknowledgement of the artist's name and Website URL must be given when the image is published, either with a picture credit, caption or a link/acknowledgement in the publication if the image is used for promotional/editorial purposes newspapers, magazines, newsletters, web or print publications, etc. Unless express permission has been granted by this company you are not allowed to crop and or electronically alter the image to suit any purpose for the usage stated above. If and when the contract/affiliate program has finished you should also deist from using any image or third party content. The Licensee indemnifies and holds harmless the artist against all claims, liability, damages, costs and expenses stemming from a breach of this agreement, the use of the image, your failure to abide by any restriction regarding the use of an image, or any claim by a third party related to the use of the image. The site is provided on an "as is" and "as available" basis, and without warranties of any kind either express or implied. The Lottery Organisation Ltd hereby disclaims all warranties, express or implied, including but not limited to implied warranties of merchantability, title, fitness for a particular purpose, non-infringement, and those arising by statute or from a course of dealing or usage of trade. The Lottery Organisation Ltd does not guarantee that the site will be free of bugs, security breaches, or virus attacks. The site may occasionally be unavailable for routine maintenance, upgrading, or other reasons. you agree that The Lottery Organisation Ltd will not be held responsible for any consequences to you or any third party that may result from technical problems of the internet, slow connections, traffic congestion, overload of our or other servers, delay or failure in transmission, or any alteration or distortion of data. We do not warrant, endorse or guarantee any content, product, or service that is featured or advertised on the site by a third party. You agree that The Lottery Organisation Ltd shall not be liable for any lost lottery ticket or failure to lodge a form or purchase a lottery ticket, or for any clerical errors that may be included in a lottery ticket, whether such failure or error arises from our, or one of our service provider's systems, or from our, or one of our service provider's, human error (each an "incident"). To the extent that any incident arises, or we become aware of any incident, we reserve the right to cancel a lottery ticket and our sole liability to you, and your sole remedy, shall be a refund of the related order price. We do not make any representation or warranty regarding your chance of obtaining winning numbers or of being entitled to a prize. The Lottery Organisation Ltd does not guarantee that a lottery operator will perform (including properly) any lottery draw, honour a lottery ticket and/or, pay applicable prizes, and you agree that The Lottery Organisation Ltd will not be responsible for the failure of any lottery operator in connection with any of the foregoing activities. in no event will The Lottery Organisation Ltd be required or liable to pay you any prize, or amount equal to the prize, in the event that a lottery operator fails to do so for any reason. you hereby waive any legal or equitable claims, rights or remedies you may have against The Lottery Organisation Ltd or anyone acting on its behalf that arises from your interaction with a lottery operator and/or the actions or inactions of a lottery operator. The Lottery Organisation Ltd is not a lottery operator and does not hold or provide lottery draws. your participation in each lottery draw is voluntary and at your sole risk. if you have a dispute with a lottery operator or any other user or third party in connection with the site and/or a lottery draw (and any prize in connection thereto), you agree that The Lottery Organisation Ltd is not liable for any claims or damages arising out of or connected with such a dispute. The Lottery Organisation Ltd reserves the right, but has no obligation, to monitor any such dispute. Images are provided "as is" with no warranty regarding the suitability of the image for any purpose. The artist is not liable to the client or any person or entity for damages, costs or losses stemming from any usage of this image. 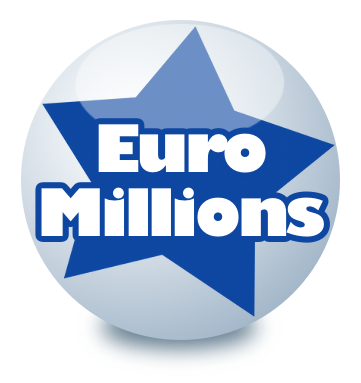 EuroMillions is the trademark of Services aux Loteries en Europe. The National Lottery, Lotto and Lotto Plus 5 are trademarks of the National-Lottery, operated by Camelot Group Plc. The Company is not connected with Camelot Group PLC, The National Lottery or Services aux Loteries en Europe operators of the EuroMillions Lottery, or any other lottery companies or betting facility providers. We are not connected to or approved by any of the companies, organisations, or any other bodies that are related to any Game that are used in any Syndicates. The Company is an entirely independent operation and any resemblance to actual lottery companies or operators of draw based games is purely coincidental. The potential for the above relationship to change exists should the Company chose to apply to any of the above corporate bodies to be either an affiliate or a retailer, or becomes associated in any other way. The Membership Data Base, The Lottery Organisation Ltd uses in connection with this Website is operated by The Lottery Organisation Ltd which reserves the right to use Content information to inform, advertise and promote other similar products which are owned or operated by associated companies of The Lottery Organisation Ltd.
We grant you a personal, worldwide, non-exclusive, royalty-free, non-assignable and non-transferable license to use the software for the Games (the ‘Software’) strictly for participation only in the Games in accordance with these terms and the rules of the Games. You may use the Software on any computer at which you have user rights and provided always that you comply with these terms and the rules of each Game. You may not sub-license, nor assign or transfer this license, nor rent, lease, license or sub-license the software or any part of it or any of the Games or any part of them. Except to the extent that such activities cannot be prevented pursuant to the Copyright, Designs and Patents Act 1988, you may not reverse engineer, decompile, disassemble, modify, translate or make any attempt to discover the source code of the Software or any material on our Site or used for any of the Games. Save as expressly provided below, any downloading, use or copying of Website is strictly prohibited and, in particular, you agree to use the Website solely for your own personal, non-commercial use and specifically not for any business, commercial or public purpose. Viruses and data integrity, Neither The Lottery Organisation Ltd, including the Haywire Group of Companies or associates or any of its affiliates as well as any agents, network service providers, partners, representatives or employees certify that the Software used on our Website will be free from any virus or coding that might be of a destructive nature. It is Your responsibility to implement and maintain procedures to satisfy any requirements You might have in terms of accuracy of data input and output, as well as the protection from such aforementioned destructive viruses or code. Further to this, neither the Company or the Haywire Group of Companies including any of its affiliates as well as any agents, network service providers, partners, representatives or employees warrant that the Website is error free or will function without interruption or data package loss including any connection or transmission over the internet. The following activities are prohibited without the express prior written permission of The Lottery Organisation Ltd Limited the deployment within this Website of any spider, robot, web crawler or other automated query program; and the re-use and or aggregation of any of the Website Materials in the provision of a commercial service. You should be aware that Content presented to you as part of the Services, including but not limited to advertisements in the Services and sponsored Content within the Services may be protected by intellectual property rights which are owned by the sponsors or advertisers who provide that Content The Lottery Organisation Ltd (or by other persons or companies on their behalf). You may not modify, rent, lease, loan, sell, distribute or create derivative works based on this Content (either in whole or in part) unless you have been specifically told that you may do so by The Lottery Organisation Ltd or by the owners of that Content, in a separate agreement. You retain copyright and any other rights you already hold in Content which you submit, post or display on or through the Services including social media. By submitting, posting or displaying the content you give The Lottery Organisation Ltd and The Lottery Organisation Ltd a perpetual, irrevocable, worldwide, royalty-free, and non-exclusive license to reproduce, adapt, modify, translate, publish, and distribute any Content which you submit, post or display on or through, the Services. This license is for the sole purpose of enabling The Lottery Organisation Ltd to display, distribute and promote the Services to and through other connected companies with whom we have a relationship. You agree that this license includes a The Lottery Organisation Ltd right to make such Content available to other companies, organizations or individuals with whom The Lottery Organisation Ltd has relationships for the provision of Syndicated Services, and to use such Content in connection with the provision of those Services. There is no guarantee that a Mobile Request will be received by the Company, or that a Short Message Confirmation will be received by a Player or Member. If a Short Message Confirmation is not received by a Player or Member that Player or Member is responsible for accessing their Account on the Website and checking, they have been included in the Syndicate they wished. INFORMATION ON THIS WEBSITE IS PROVIDED “AS IS” WITHOUT WARRANTY OF ANY KIND, EITHER EXPRESS OR IMPLIED INCLUDING, BUT NOT LIMITED TO, THE IMPLIED WARRANTIES OF MERCHANTABILITY, SATISFACTORY QUALITY, FITNESS FOR A PARTICULAR PURPOSE OR NON-INFRINGEMENT, COMPLETENESS OR ACCURACY. ALL SUCH WARRANTIES ARE EXCLUDED TO THE FULLEST EXTENT PERMITTED BY LAW. SOME JURISDICTIONS DO NOT ALLOW THE EXCLUSION OF IMPLIED WARRANTIES, SO THE ABOVE EXCLUSION MAY NOT APPLY TO YOU. Information on this Website may be incomplete, out of date or inaccurate and may contain technical inaccuracies or typographical errors. Information may be changed or updated without notice. The Company may also make improvements and or changes in the products described in this information at any time without notice. Regardless of our efforts to provide you with Service of the highest quality, safety and security, we make no warranty that the Service will be uninterrupted, timely or error-free, that defects will be corrected or that the Services found therein shall be free from viruses or errors. IN NO EVENT WILL THE COMPANY BE LIABLE TO ANY PARTY FOR ANY DIRECT, INDIRECT, SPECIAL OR OTHER CONSEQUENTIAL DAMAGES FOR ANY USE OF THIS WEBSITE OR ON ANY OTHER HYPER-LINKED WEBSITE INCLUDING, WITHOUT LIMITATION, ANY LOST WINNINGS, PROFITS, BUSINESS INTERRUPTION, LOSS OF PROGRAMMES OR OTHER DATA ON YOUR INFORMATION HANDLING SYSTEM OR OTHERWISE, EVEN IF THE COMPANY IS EXPRESSLY ADVISED OF THE POSSIBILITY OF SUCH DAMAGES. THIS DISCLAIMER INCLUDES THE EVENT OF AN INCORRECT ACQUISITION OF SYNDICATE NUMBERS OR LINE ENTRIES RESULTING IN A LOSS OF PRIZE MONEY HOWSOEVER CAUSED INCLUDING HUMAN ERROR. refund to the affected Member the sums paid by that Member in joining a Syndicate for the month in question offer the affected Member a place in either the same or another Syndicate, for a similar period of time to that period for which the member was unable to participate in a Game. The Company may change, suspend or discontinue any aspect of the Website and or a Game in its absolute discretion at any time and for any reason without notice or liability. In addition, the Company reserves the right, in its sole discretion, to correct any errors or omissions in any part of the Website. Any information provided by the Company in or on the Website is updated by the Company from time to time and may not, therefore, at all times be current. The Player / Member should use proper skill and care in the use of such information, including the checking of such information against other sources where appropriate, and is wholly responsible for any expenditure made based upon such information. The Company may amend, modify or supplement all terms and conditions on the Website at any time by posting the amended, modified or supplemented terms on the Website. Such amended, modified or supplemented terms shall be automatically effective seven (7) days after being posted on the Website. The foregoing shall not affect any transactions which are in progress as of the date and time of such amendment, modification or supplementing, which transactions shall continue to be governed by the previous terms and conditions. Possible corruption of this or any other online Company documents due to technical reasons. All reasonable precautions are taken to ensure the accuracy of this document and any other policy documents we may issue from time to time, and that they present a precise facsimile of the master documents on file at the Company Head Office, however there are times when forces outside of our control can cause online documents to be corrupted due to technical issues which may cause the document to be inaccurate with erroneous code, text or artefacts. In the event of a dispute, it will always be the definitive master documents that take precedents; a copy of the Company Policy Documents is available from our Head Office at this contact address support@lovemylotto.com for a small fee to cover printing and postage. The Player agrees to indemnify, defend and hold harmless The Lottery Organisation Ltd, and its parents, subsidiaries, affiliates, officers, directors, shareholders, employees, agents, licensors, and partners from any and all claims, losses, liabilities, demands, damages, costs, or expenses (including reasonable legal fees), arising from or asserted by any third party. The Player's use of The Lottery Organisation Ltd web application, or any other product, service or promotion offered to the Player by The Lottery Organisation Ltd; Any claim of infringement of third party intellectual property rights; Uploading, posting, emailing, reproducing, transmitting or otherwise distributing any content or other materials from the Player; The breach of any of these Terms and Conditions by the Player or any users of a Player account with The Lottery Organisation Ltd. The Lottery Organisation Ltd reserves the right to assume the exclusive defence and control of any matter subject to indemnification by the Player, which shall not excuse the Player's indemnity obligations. The Company the Player and or Member irrevocably agree that the Courts of England shall have exclusive jurisdiction to settle any dispute which may arise out of, under or in connection with these terms and conditions, and for those purposes irrevocably submit all disputes to the jurisdiction of the English Courts although we retain the right to bring proceedings against you for breach of these terms and conditions in your country of residence or any other relevant country. This Agreement is drawn up in the English (United Kingdom of Great Britain and Northern Ireland) language and may be translated into any language other than English provided however that the English text shall in any event prevail. The right of John Wiley to be identified as the author of this publication and all associated documents, collectively called; The Universal Terms, has been asserted by him in accordance with the Copyright, Designs and Patents Act 1988, and all subsequent amendments, provisions and the implementation of EC Directives. patents, copyright (including copyright in source code, object code, developer tools, data, materials, content and printed and electronic specifications, integrations guides, procedures manuals and related documentation) design rights, trademarks, service marks, trade secrets, know-how, business names, trade names, database rights and other rights in the nature of intellectual property rights (whether registered or not) and all applications for the same which may now, or in the future, subsist anywhere in the world, including the right to sue for and recover damages for past infringements. Any person who does an unauthorised act in relation to this publication may be liable to criminal prosecution and civil claims for damages. Copyright 23 November 2016 and all dates thereafter.